Are you the kind of person who love chilling out with friends and end up getting home late in the night? And you end up getting up late from bed. Wait; aren’t you tired of been scold every time by your boss all because of your low level of punctuality? An alarm clock can simply be defined as the device which helps in waking us up. Furthermore, alarm clocks are not only use for waking us up alone, it can be used for so many things aside from waking us from bed, for example if you are going to an important meeting and you don’t want to be late, you can set an alarm like few minutes before the commencement of the meeting so as to prepare ahead. Alarm clock has lot of importance, if I should start going deep about the importance of alarm clock; I won’t be able to finish it. Therefore, I will just give you guy’s tips of the ice bag. Alarm clock helps us to be punctual in whichever program we plan ahead. With alarm clocks it’s easy to boycott any embarrassment regarding punctuality. In other to save time, let’s go straight to the point I want to make you know. In this article I will be introducing to you the best alarm clock apps below. Online Video Clock: This is a very nice online alarm clock that enables you to wake up by your favorite video on YouTube. 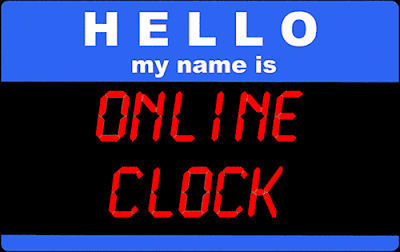 Online Stop Watch: This is an online alarm clock which enables you to set a specific time for yourself while online. Take for instance you are about executing a task. Meta Clock: Unlike all other online clocks, this clock is outstanding because of it some features which is not present in other online clocks. For example pushing updates to Facebook profiles and as well waking you up. With this app, all your thought throughout the day can be added to Facebook even without logging in to Facebook at all. Music Alarm Clock: This app is a wonderfully mad alarm clock. You are liable to change and as well choose your favorite music as well as testing the tone before you finally send the alarm. Alarm Clock Server: This online alarm clock has a very cool and nice interface unlike online video clock; alarm clock server is a video alarm which enables the user to choose any favorite video from YouTube. I hope with the lists of Top online alarm clocks Websites, you can now be able to choose your choice out of them. Thanks and stay tuned for more useful tips.